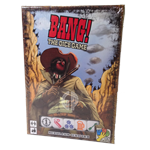 Drake says: "In BANG!, players attempt to guess which of their opponents are the vile outlaws, which are the sheriff's loyal deputies, and which is the treacherous renegade. 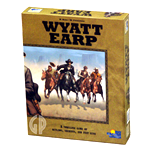 Gameplay is simple and "spaghetti western" themed, as players attempt to eliminate each other and accomplish their team's goals." John says: "BANG! 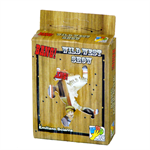 is a short, exciting, constantly changing card game that usually lasts between fifteen and thirty minutes. The theme works perfectly and the cards have excellent humorous artwork. 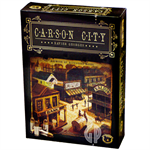 This is a must-have group card game that players will want to revisit over and over!" A High Caliber Card Game! Since the beginning, the Outlaws hunt the Sheriff, the Sheriff hunts the Outlaws. The Renegade plots in secret, ready to take one side or the other. But who are the merciless Outlaws, willing to gun him down? To find out you have to draw! (Your cards, that is!) Now the Sheriff has decided to settle things once and for all in his own way. He has written a name on a single bullet. That name is... BANG! 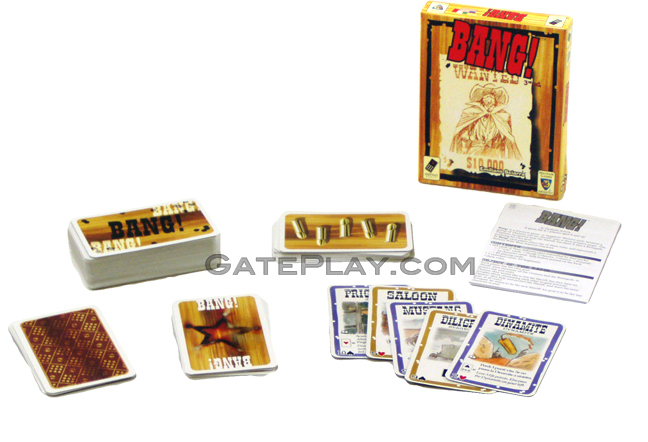 Check out "BANG!" on BoardGameGeek.com! Check out "BANG!" on KidGameRatings.com! 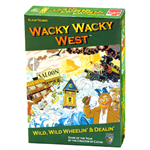 Hunchy says: "If you enjoy the "Wild West" theme, you'll also enjoy Wacky Wacky West, Carson City and Wyatt Earp!"